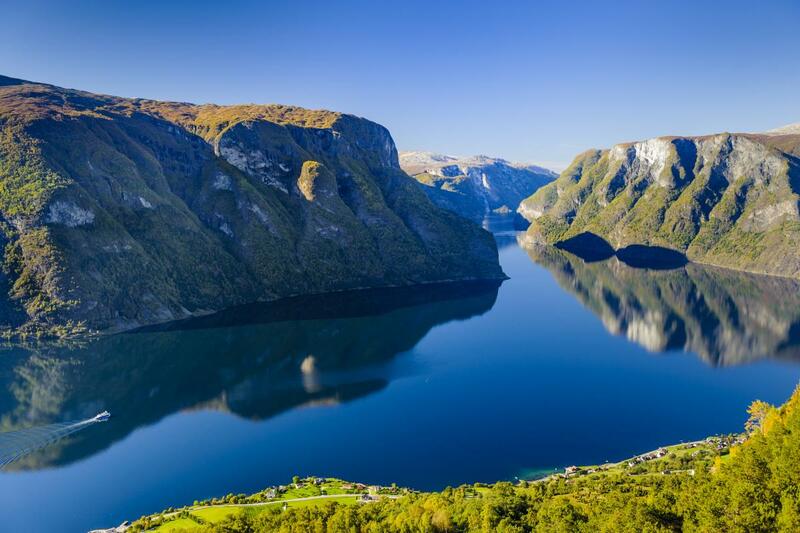 Experience the different aspects of nature and culture in Fjord Norway throughout the year. Thanks to the changing seasons, you can discover something new on every visit. The four seasons do not only have a bearing on nature, but also on the people who live here. Over time, the seasons have moulded the culture and the way of life in the region. 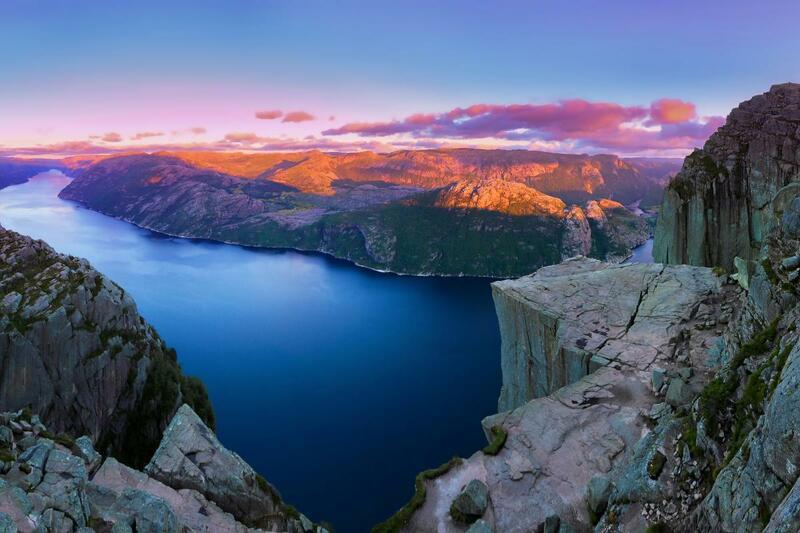 And for visitors to Fjord Norway, the area offers a wide range of experiences that vary with the seasons. Most visitors come to Fjord Norway during the summer, but the greatest wonders are reserved for those who come in the spring and autumn. During wintertime the great mountain-terrain turns Fjord Norway into a paradise for skiers. 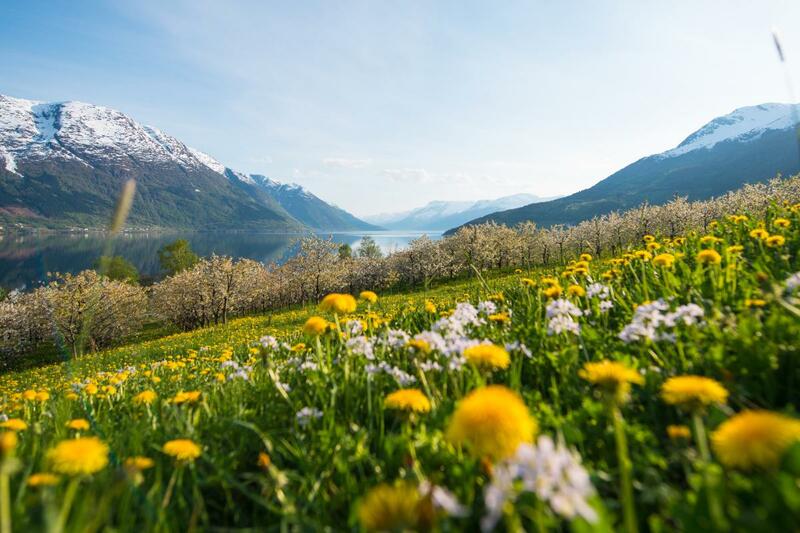 Spring in Fjord Norway is a special time. Both nature and people wake up from their long winter slumber. The days grow longer, the sun&apos;s warmth can be felt again, and the first crocuses and daffodils spring forth. At Easter, you will have the fjord cities in Fjord Norway almost to yourself. Large parts of the population head to the mountains at Easter for their last skiing trip of the season. Tourists can experience winter, spring and summer all in one day by going on a round trip to enjoy the taste of life and tradition. In May, the green and blossoming fruit trees are a unique and beautiful sight against the blue fjord and the mountains, which are still capped with snow. The roaring rapids are at their biggest this time of year, and the melted ice gives the fjords a green hue. Summer is the high season in Fjord Norway. This is when Norwegians are at their most sociable and gregarious. They are very active and take advantage of the long bright summer nights, soaking up all the sun they can and taking every opportunity to spend time outdoors with their family and friends. We spend these summer months charging our batteries for the rest of the year. Visitors will find plenty of shops and restaurants to explore and a wide range of activities and experiences to try. As a tourist, you will meet many people who share your interests. But if you prefer to spend time alone in the region, there are plenty of opportunities for travelling off the beaten track. Fjord Norway has plenty of space and many interesting small places with exciting activities to explore. Autumn in Fjord Norway is beautiful and a little wistful. As the nights grow darker, we are less likely to be found outdoors. Many of the attractions are still open for people who choose to visit the region in autumn, but there are fewer tourists around. This is also when the fruit on the trees along the Hardangerfjord and Sognefjord ripens. Tourists can walk along the road and fill their baskets with apples, pears or plums. Payment is based on trust – just leave some money in a box. You can also visit a small farm and taste fresh apple juice or cider. Or perhaps you would prefer a piece of freshly-baked apple cake? Autumn is also the high season for those who want to go on mountain walks. The mountains are at their most beautiful, with lovely autumn colours, crystal-clear fjords and crisp, fresh air. But it can also get wet, grey and chilly, as this is the season when nature is at its most mysterious and magical. The season is ideal to go on a round trip and experience everyday life and explore the cultural essence of Fjord Norway. Winter in Fjord Norway has lots to offer both skiing enthusiasts and people who seek more relaxing activities in the area. The snow attracts active tourists who want skiing experiences at the alpine ski centres or long skiing trips in the mountains. If you are looking for a snow adventure out of the ordinary, why not try spending the night in a snow cave? 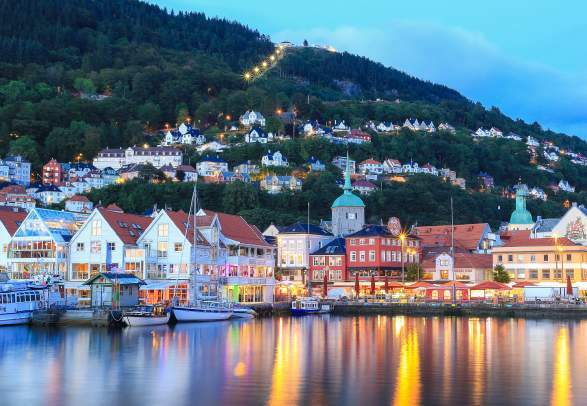 The fjord cities offer exciting culinary and cultural experiences, as well as other local activities. It is still possible to go on fjord cruises on several of the fjords, such as the Nærøyfjord, the Osterfjord and the Lysefjord, though the darkness of winter has set in. With its clear, blue light, the winter fjord is a very special, almost magical, place, and you feel like you have the fjord almost to yourself. The weather in Norway can change quickly any time of year. Although Fjord Norway has four distinct seasons, the winters can be mild and the summers chilly. In Western Norway, a lovely sunny day can be followed by a day of rain and fog. Regardless of season, it is therefore a good idea to pack waterproof and and warm clothes if you plan to spend a lot of time outdoors. Thanks to the Gulf Stream, the temperature in the ocean along the coast of Norway is 5-10 degrees Celsius warmer than other places on a similar latitude (for example Alaska and Siberia). This is why Fjord Norway enjoys mostly mild weather in spring and autumn. There can be a great difference in temperature between Norway&apos;s highest and lowest points, as well as in different places by the very long and varied coast. 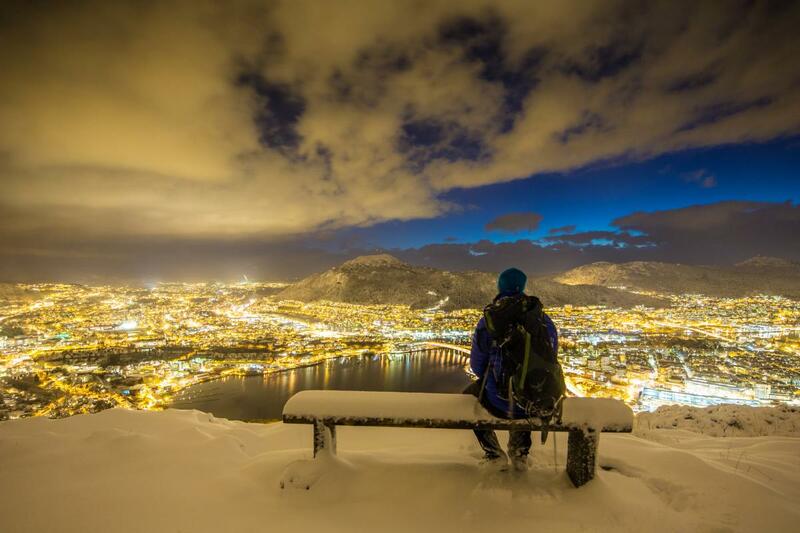 In Fjord Norway, nature is part of the cities, and the cities are part of nature. Visit the local communities that have the fjords and the coast right on their doorstep.